James began working as a Sustainability Consultant for Metabolic in 2018. He completed his Masters of Environmental Management degree at Yale School of Forestry and Environmental Studies, with a specialization in industrial ecology and green design. His studies focused on closing the loop in business supply chains toward a more circular economy, and he also led the GreenLight design and innovation workshop series at Yale. His previous client-based work includes consulting projects with Apple, TerraCycle, Lyft, We Are Still In, and Patagonia. He was chosen as a Global Talent for UNLEASH, the innovation lab working to brainstorm and implement solutions to the UN Sustainable Development Goals. 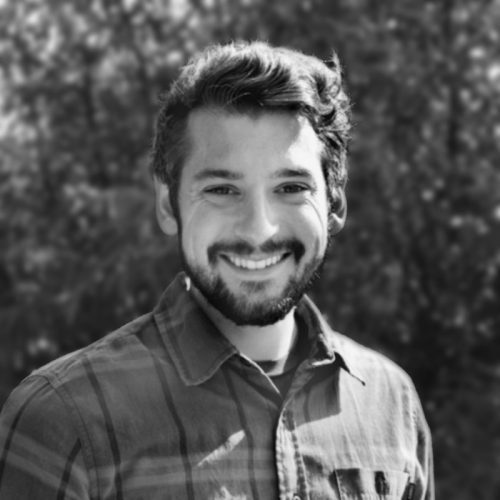 James is from Virginia in the US, where he studied environmental and social sustainability for his undergraduate degree, with minors in biology, economics, international development, and photography. He previously worked for environmental organizations in Pittsburgh and Washington DC focused on urban sustainability and food waste reduction. He also worked for a year as a photojournalist in Burkina Faso, where he documented farmers adapting to a changing climate. At Metabolic, he is excited about applying a systems thinking framework to shift our world toward a sustainable and circular economy.